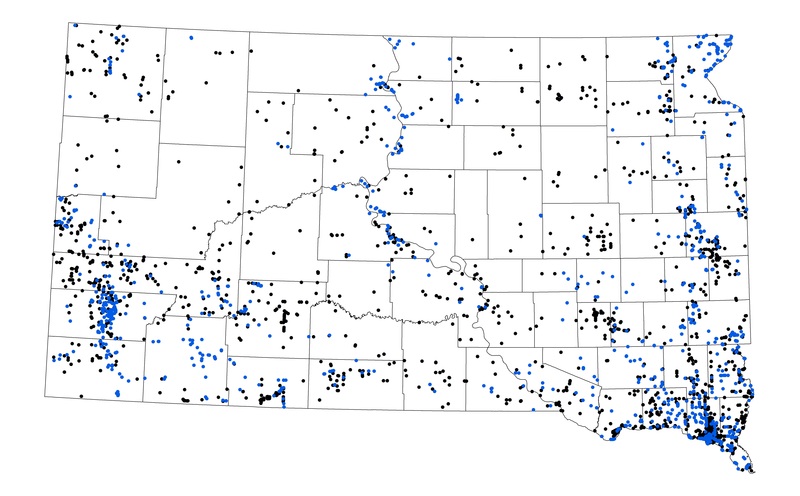 Current understanding of the distributions of amphibians and reptiles in South Dakota is limited compared to that of many other vertebrate groups and was highlighted in a recent state report. 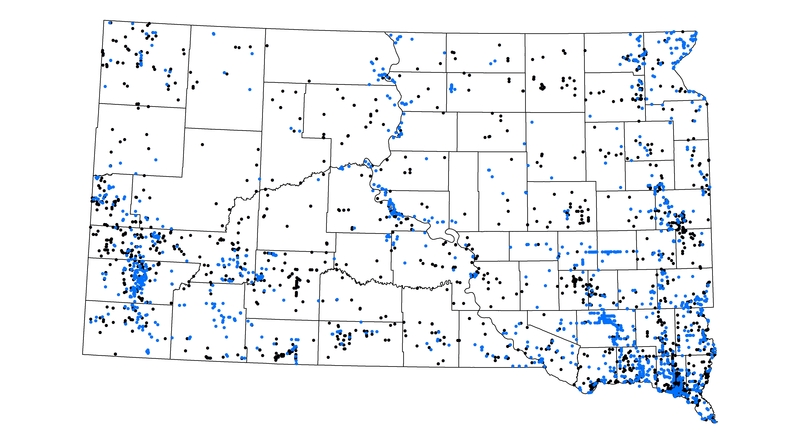 Continuing increases in human population, conversion of grasslands to agriculture, and habitat degradation all likely have strong negative impacts South Dakota’s amphibian and reptile species; however, their effects on species declines are difficult to track because of limited historic and modern sampling and the lack of georeferenced occurrence records. These data often serves as baseline occurrence data to help guide current survey or monitoring efforts, and as such, knowledge of both historic and current occurrence records are essential in order to understand present-day species distributions and declines. This website was created by Drew R. Davis and was officially launched in January 2017. 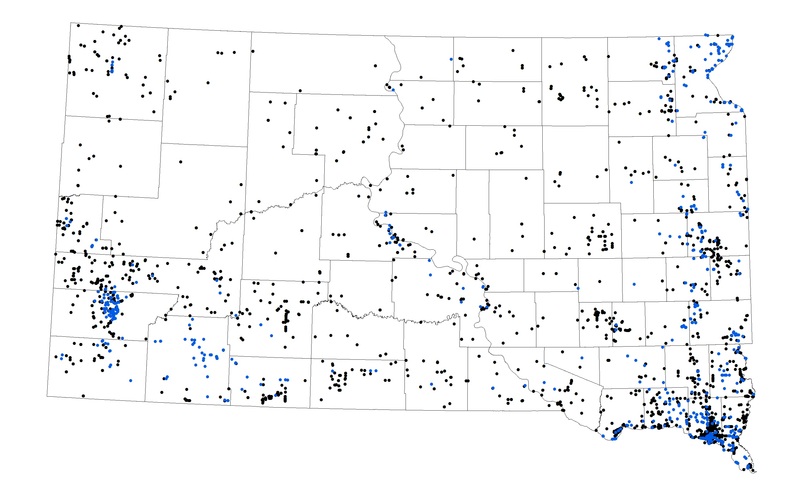 Records of over 12,900 specimens (as of February 2019) have been assembled to create a database of all known amphibian and reptile voucher specimens from South Dakota. These records are primarily from voucher specimens deposited at natural history collections from the United States and Canada but the database also includes photographic vouchers from citizen science programs such as HerpMapper, iNaturalist, and NAHERP. This website will continue to be updated with new records as they are collected and become known. 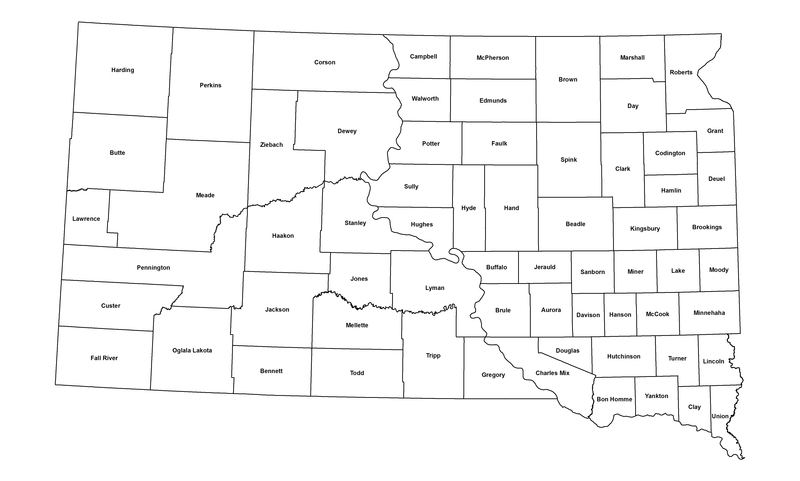 Map of South Dakota counties. Amphibian and reptile voucher specimens collected pre-2000 (black) and post-2000 (blue). Map created January 2019. See previous maps: June 2016, March 2017, August 2017, February 2018.